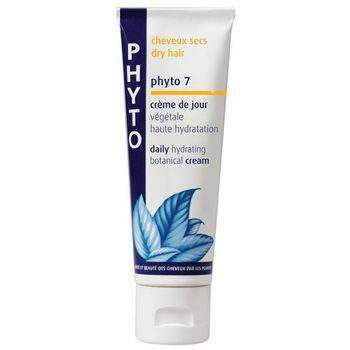 Phyto 7 is a 100% natural plant based treatment cream for all hair types that softens & hydrates w/ 7 special plant extracts. This leave-in moisturizing treatment mends splits ends as it nourishes & revitalizes. 1.7 OZ.